He was a man living in two worlds. He was a witness to both the extremes of wealth and poverty in the Gilded Age and the unbridled promise of the Modern Era. He dreamed of a world where men shared the same civil rights regardless of color, but was challenged at every pass. 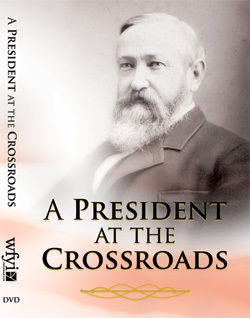 Above all else, Benjamin Harrison was America’s Hoosier President.